The MonoBloc High Goal Sport Horseshoe by American Equus is the paragon of robustness and elegance. 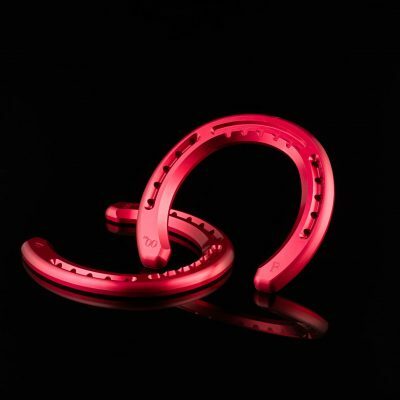 Crafted meticulously out of solid 6061 T6 Aircraft Grade Billet Aluminum, our MonoBloc High Goal Sport Horseshoes are remarkably comfortable, long lasting, and 65% lighter than a steel shoe. 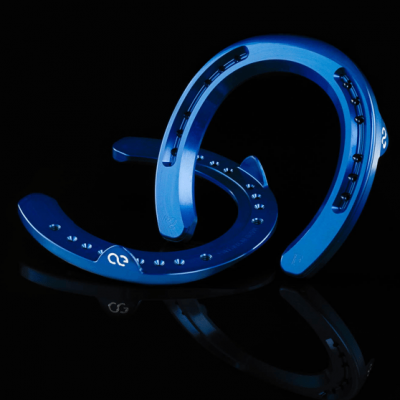 MonoBloc shoes feature a rolled front edge for a comfortable break over process helping to keep future hoof and leg problems to a minimum. 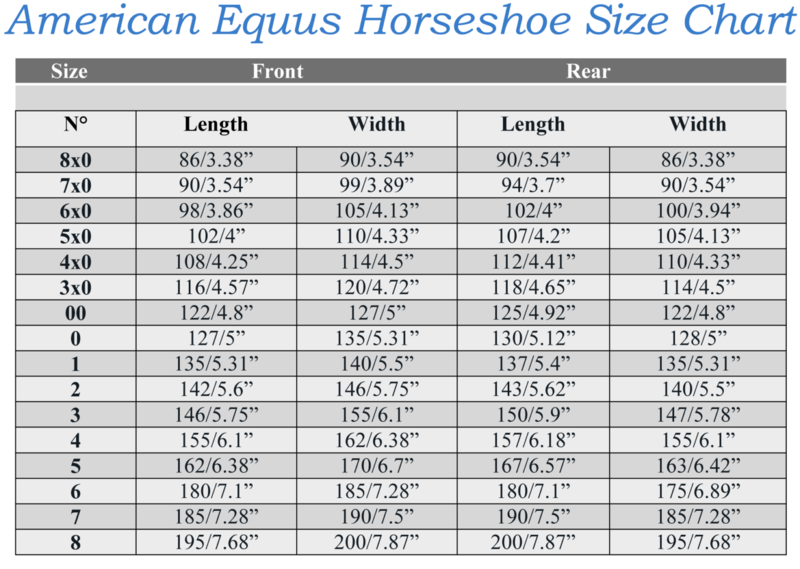 These shoes will roll with good protection of the sole and adequate heel support. 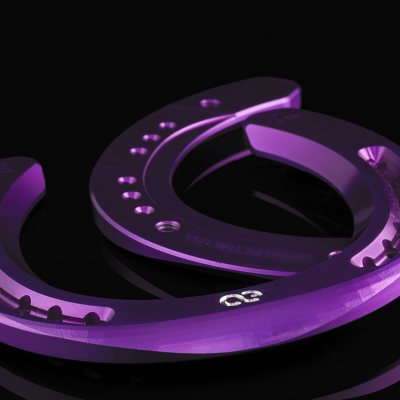 In addition, the absence of a steel wear bar encourages the shoes to have a natural and superior wear patterns. 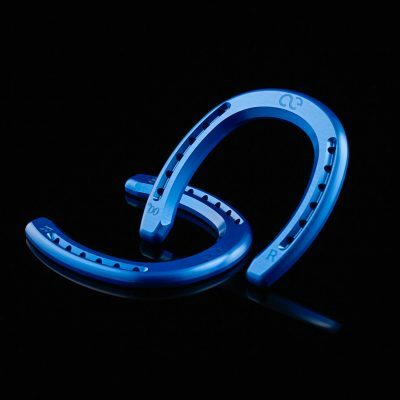 For the farrier, the solid 6061 Aluminum structure allows for an easily malleable shoe for quick, accurate fitting. 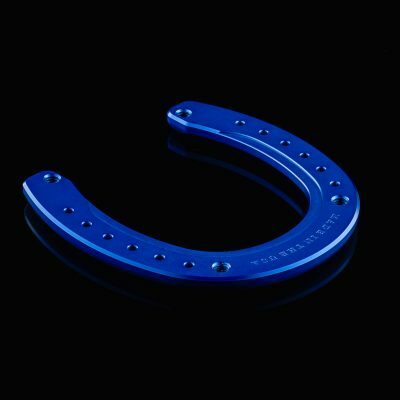 Our unique counter-sunk and beveled topside nail holes allow for accurate nailing with multiple pattern options. 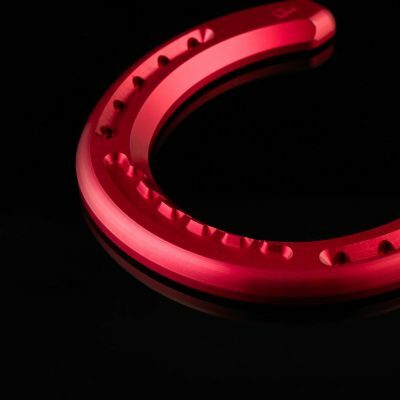 The rich color finish is not only beautiful but also extremely functional. The Deep Anodizing provides a anti-microbial barrier between the top of the shoe and hoof wall that inhibits oxidation and fungus growth which is a typical problem with aluminum shoes in high moisture environments. 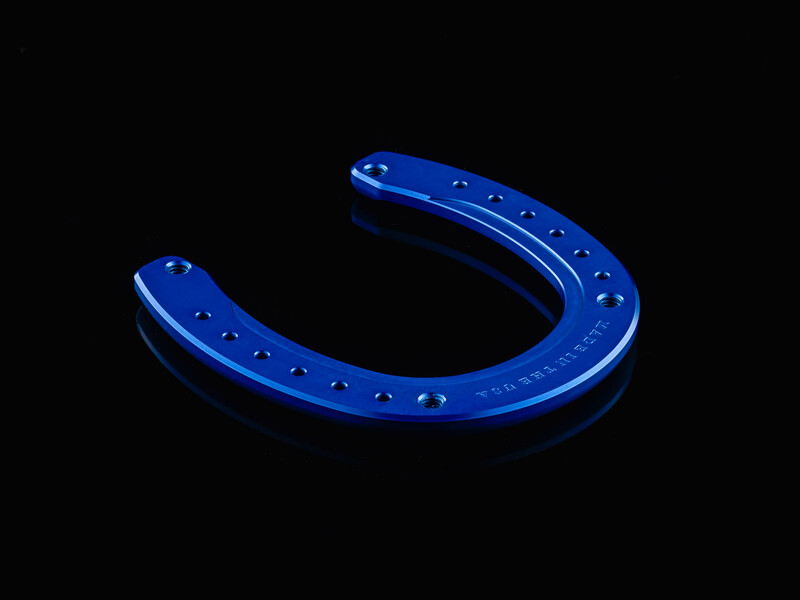 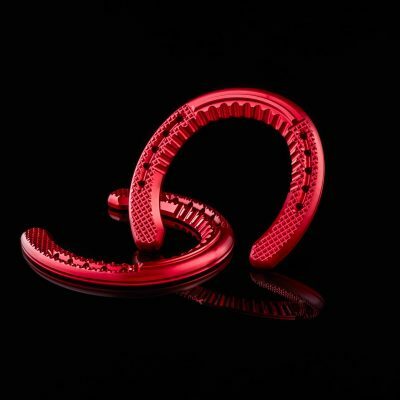 In addition, the Anodizing process exclusive to the MonoBloc ,shoes has been proven to help prevent White Line Disease, the Coloring is a byproduct of this process, thus making this one of the most desirable performance horseshoes on the market. 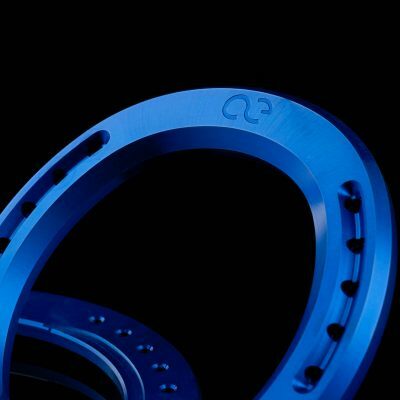 The color will remain on the outer rim and on the clips (Sport Edge Shoe) for the shoeing cycle. 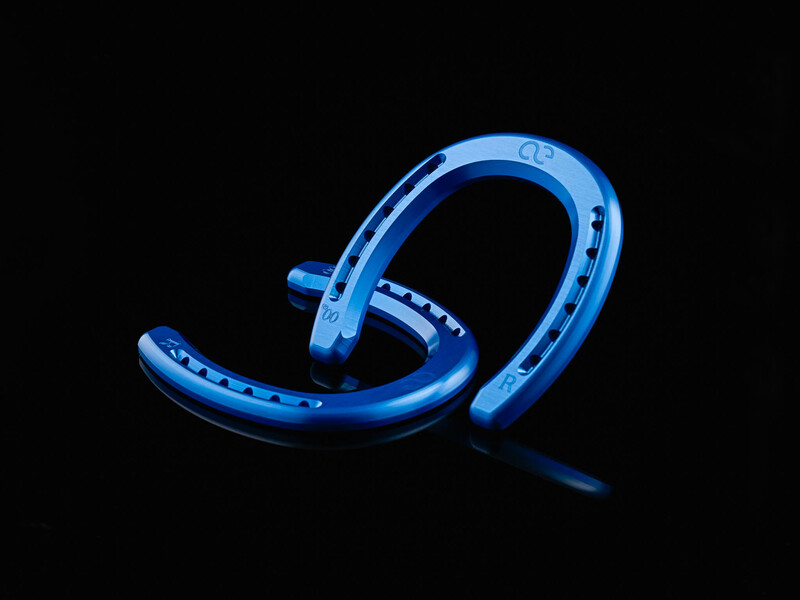 When speed and traction matter, the MonoBloc High Goal Sport Horseshoe’s ultra-light construction provides a free range of motion, reduced loading and enhanced balance. 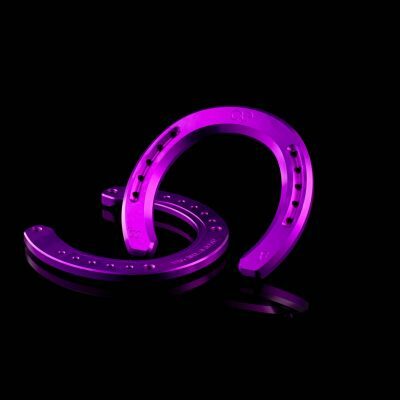 A definitive advantage for High-Performance horses in any polo arena.